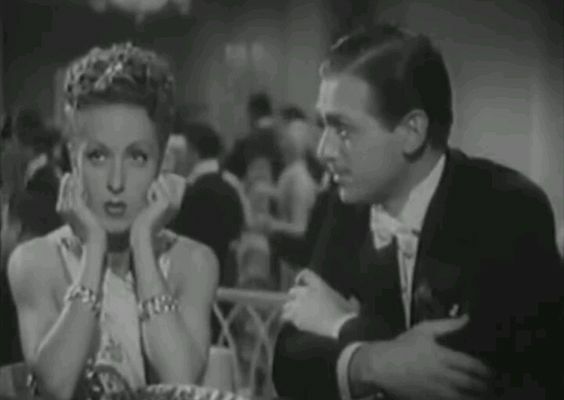 Tony Wendice (Ray Milland) is a former pro tennis player. 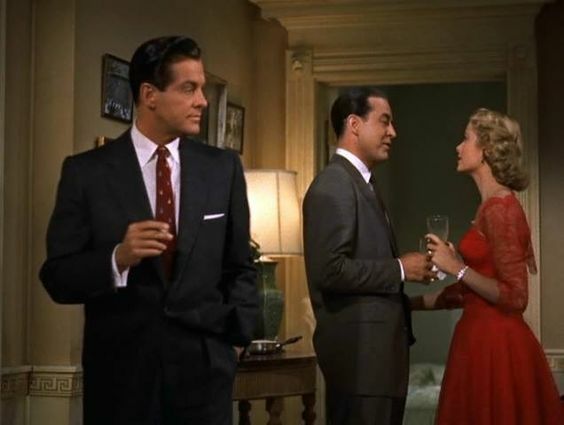 He plots and schemes to murder his wife, Margot (Grace Kelly). Talk about pre-meditated!!! Well, things don’t go as planned and he has to do some quick thinking ~ enter plan B. This is a Hitchcock Film. Without a doubt, a favorite! March Rereads! Great Month for Reading! I love Tommy and Tuppence! 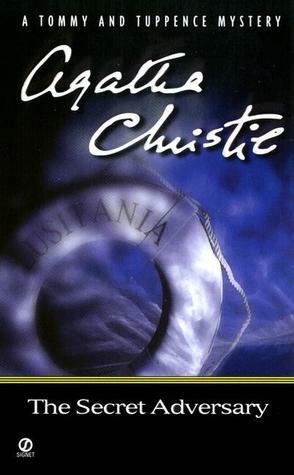 “The Secret Adversary,” by Agatha Christie is a Tommy and Tuppence Mystery! “Murder on the Links,” is a Poirot mystery. A man is found dead on the golf course after sending Poirot a letter requesting his assistance. Lucy travels to Corfu to visit her pregnant sister. After arriving she soon finds herself in the midst of a mystery. Yesterday I was at the post office. I stood behind a man who was probably in his late 30’s. We didn’t speak to one another. When his turn came, he walked over to the postal worker who was available. As he was speaking to said postal worker, unexpectedly, his pants fell down!!! That’s right, you read that correctly! His pants fell down, hit the floor, dropped to his ankles!!! He didn’t say anything. He bent down, grabbed his pants and pulled them up, settling them around his waist. I was stunned/shocked silent! I think I might never recover! haha! Have you ever seen something unique/unusual/ridiculous/odd as you journeyed forth from your home??? I’d like to hear from you. 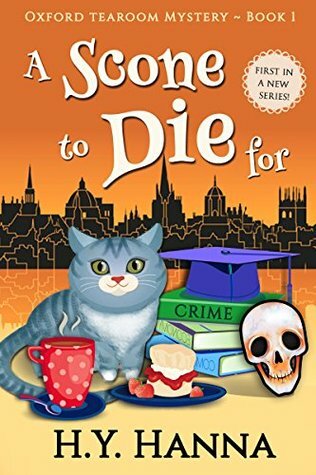 Gemma, owner of Little Stables Tearoom, is thrust into a murder investigation, by her own choice, when a brash American is discovered dead with a scone stuffed in his mouth. 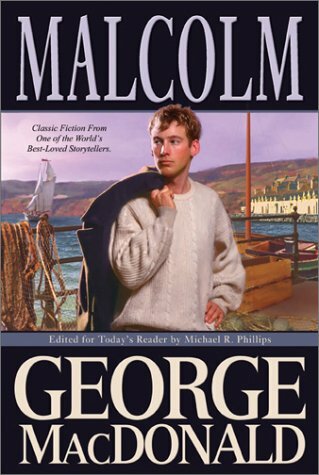 The author transports the reader to England where said reader meets some interesting, but lovable characters. Just to name a few, there are the four “old biddies,” which is sure to leave a smile on your face and Gemma’s mother! OH! MY! WORD! I love Gemma’s mother, I do. However, if she was my mother, she would be driving me crazy!!! 🙂 As my neighbor would say, never in all my born days!!! Then of course, there’s Gemma, our amateur sleuth and her best friend Cassie, her chef Fletcher, a good looking doctor and a hunky Detective. So, if you like an amusing cozy with a good mystery, this might be the book for you. 4 ****stars. Tuesday teaser is a weekly book meme. “Birds of a Feather,” by Jacqueline Winspear is the second book I have read by this author. It is also the second book in the Maisie Dobbs Mysteries. I gave Maisie Dobbs five***** stars on goodreads. Well, in my humble opinion, this second book, Birds of a Feather is better than the first book! I gave it five***** stars also. 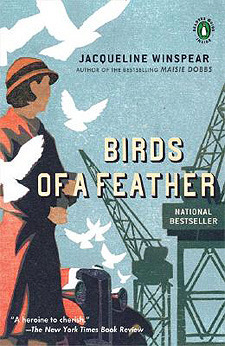 In this book, Maisie Dobbs is hired to find a missing woman. One sub-genre in the cozy mystery challenge is historical mystery (a cozy mystery not set in the present). 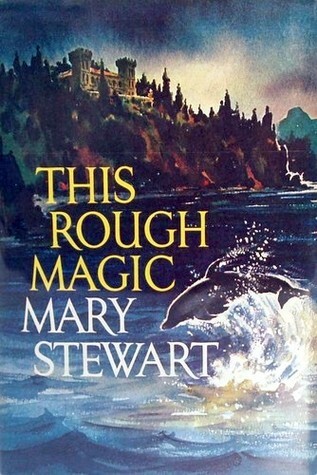 And WOW, what a cozy mystery I discovered, thanks to one of my blogging friends. I have seen the Maisie Dobbs mysteries many times in bookstores but I had never read one until now. It was very good. As a result of the death of Maisie’s mother when Maisie was young, her sweet dad, Frankie Dobbs found Maisie a job as a maid in a good home. When the Lady of the house, discovers Maisie reading in the library early one morning, her Ladyship, after discussing it with her husband and a doctor, decides on a course of action to educate Maisie. I loved the characters in this story. I’m going to mention a few, but there were several I loved. Maisie Dobbs is smart, hungry for knowledge, patient, compassionate and easy to like. Her dad, Frankie loves Maisie so much, misses her mother and tenderly and loving cares for his horse, Persephone. Lady Rowan Compton is an interesting woman. I liked her very much. I actually thought she was funny. She takes great interest in Maisie and believes in her young maid. 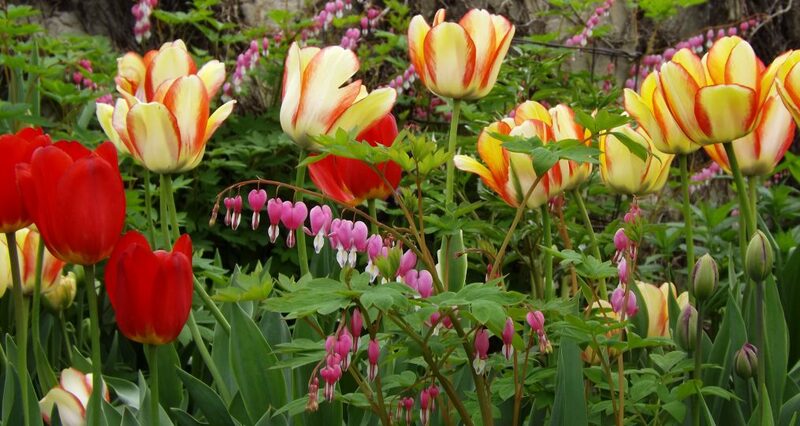 Doctor Maurice Blanche is the man responsible of the education of Maisie Dobbs and it is an interesting education. He does the job right, she’s accepted into Cambridge. Well, enter World War I and everyone’s life is changed. Maisie becomes a nurse during the war. After the war she becomes a private investigator and it all begins when a client asks Maisie to investigate his wife, whom he believes is unfaithful. This book is well-written, however, the descriptions of the men injured in battle is a little shocking to take in. I’m looking forward to reading the next book in the series. 5***** stars! 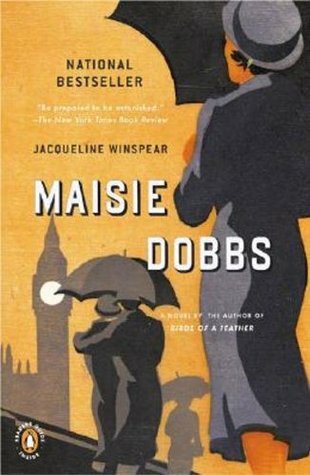 Have you read the Maisie Dobbs books? I’d like to hear from you. Happy Reading! Well, the ending of this film is predictable, but I enjoyed it. It’s comical.